Being arrested or accused of a Criminal Charge or Driving Under the Influence (DUI), is not a pleasant experience. Likewise, the pain and suffering of an auto accident or personal injury is obviously very trying and difficult. Tampa lawyer Gerald A. Perez has helped hundreds of clients with their personal injury claims and with the defense of their criminal law charges. Whether there has been an arrest for a DUI, or other misdemeanor or felony or whether you have been hurt due to the negligence of another in an auto accident, motorcycle accident, dog bite or slip and fall, Gerald A. Perez stands ready to serve as your lawyer in your in your time of need. Mr. Perez serves all of Hillsborough County including Tampa, Lutz, Carrollwood, Brandon, Riverview, Ruskin , Temple Terrace, and Plant City. 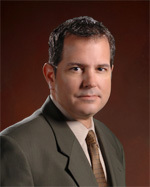 Mr. Perez also accepts cases in neighboring central Florida counties including: Pinellas, Pasco, Polk and Manatee. Serious injury and wrongful death cases are accepted throughout the State of Florida. Most individuals have a response or explanation to their arrest, and they want desperately to speak with a criminal defense attorney about their rights and options. Many times a lawyer can determine that there is "more to the story" than what the officers allege or write in their reports. You need an established criminal and DUI defense lawyer who is well-respected among the prosecutors, judges and juries who will make them stop, listen and understand your explanation so that a solution for you can be obtained. Whether that means a dismissal, not guilty verdict, reduction of charges or lessening of the penalty through plea bargain, Mr. Perez will zealously represent you and defend your interests. Let’s face it - the only way we have to right the wrong of someone hurting you and causing you injury, pain and suffering is by requiring them, or their insurance company, to compensate you financially. We can't undue the accident, and we can't reverse the injury. We can pursue the responsible party for unpaid medical bills and lost wages. And we can pursue the responsible party for payment of compensation for the pain, suffering, and discomfort that you have been forced to endure through no fault of your own. Unlike many of the large firms, you will not be "treated as a number". You will be given one-on-one personal attention from Mr. Perez, himself. You will not be assigned to a less experienced attorney or paralegal as often occurs. Mr. Perez will understand every aspect of your case and you will be able to speak with him directly by phone or in person as often as necessary. In short, Mr. Perez takes an interest in his client’s cases and takes personal pride in seeing to it that the best interests of the client are put forth and advanced. Whether that means seeking the maximum amount of monetary compensation for injuries sustained or defending a criminal client by seeking a dismissal, reduction or plea bargain - Mr. Perez will remain dedicated to your cause.